With an episode titled "The Flash and The Furious", I was expecting to be thoroughly entertained. What I really got was a bit of a dud with a sick looking meta car. With Nora, it was more of the same drama. When you think she's overcome the hurdle of being a petulant child instead of a budding adult hero, she reminds you she's the former. Whether it's racing off while Iris is in mid-sentence or disregarding Cecile's explicit directions of how to respond to questioning on the stand, Nora is utterly obnoxious. I'm all for letting the story line play out and hoping that a trip to the future will help us better understand why Nora behaves the way she does, but I kinda thought we sorted that out with the dampening chip reveal and the "I just wanna know my father" speech. So why does she still have a chip on her shoulder? (I really didn't try to do that.) Her continued antics are annoying and if they are just her personality traits, where did they come from? Barry and Iris can both be stubborn, but neither is downright rude. Her continued efforts to conceal her relationship with Thawne only make her less likable. Though Thawne seems to be on death row or some future version of it, I can't see how that lets Nora off the hook. What else does she need from him that makes her have to keep visiting now that she knows the truth? His redemption?- Yeah ok. If I'm buying this, I gotta get more than that. I'm hoping that after Barry and Iris cry, rage, and cry some more over her betrayal that they don't start blaming themselves. I'm sure Iris will- she already has. But, Barry? How will he somehow twist Nora's choice and deception into being his fault thus disallowing him to be mad at her? Let's see- he'll say he shouldn't have kept being the Flash, he should have chosen being a father over a hero or as this episode so nicely lay the groundwork for, he'll be boxed into his words about Thawne being redeemable in the future. Oh, I can hear it now. I hope this doesn't happen, but The Flash loves to twist the knife into Barry so I'm not holding my breath. I do hope that Nora becomes a lot less whiny and more open to listening to her elders- the right ones because boy she still has lots to learn. Gotta admit that this subplot was a tad bizarre. Here I was thinking the show had just established that Killer Frost was not created through the exposure of dark matter- that she was part of Caitlin because her father had altered her DNA by giving her therapies to suppress the ALS gene. If this is the case, why would she be so against Cisco creating something that could remove powers from meta-humans? It should have no effect on her powers so why shouldn't he be able to help himself or others if he can- am I misstating this? Please correct me if I am. She comes in and blows up the spot so that he can't complete his work then lectures him about having powers. Confused was not the word. It was encouraging to see Cisco thinking of his life and his future again. Engineer Cisco could be creating all kinds of goodies. Caitlin coming around towards the end was nice too, but her Killer Frost story just needs to make sense. It is the most disappointing thing about the show and only took backwards steps with this story line. The hands down best thing about this episode was the car Raya and Joss stole from ARGUS. A stealth ride that could do all sorts of cool things. Also, Raya dropping the Young Rougues name and the folder of prospects she was looking to recruit from was some nice foreshadowing. *Tom C.'s Eobard Thawne was kinda cringey. That voice- what the hell? *Iris, when are you gonna check Nora about her disrespect? *Papa Joe, come get your granddaughter. *Barry was barely in the episode, but then I read Grant Gustin was still filming the crossover so that accounts for loss of screen time. BTS scoops are helpful. *Nora deleting the files- Does she know someone is on to her? 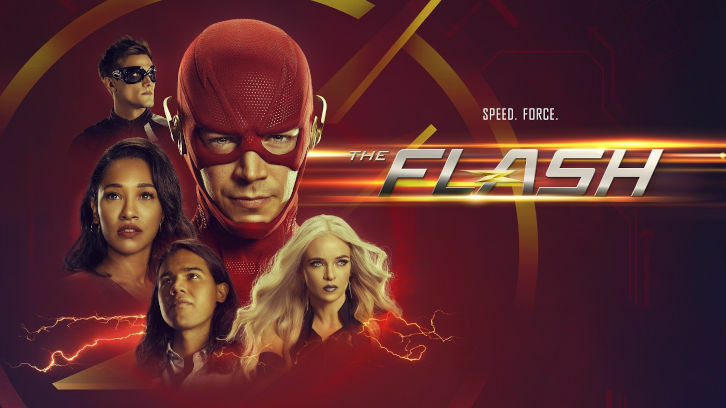 What did you think of "The Flash and The Furious"? Sound off in the comments! The Flash is on Tuesday nights on the CW.